Care for Creation: A Call for Ecological Conversation is a collection of Pope Francis’s writings and words which give background to the direction of Laudato Si’. Grouped into ten chapters, this book offers a very accessible introduction to the Pope’s understanding of the call of the church to creation care. He frames the current struggle as one guided by a lust for money’s idol and the globalization of indifference. He calls each reader to action, not blaming them for the global issues of poverty and climate change, but implicating them as necessary actors in the solutions. He recognizes the ecological crisis as related to the inner crisis of belief and identity experienced globally. Pope Francis argues that we all must become part of the solution, taking faith-inspired action to care for our world and those in it. Far from arguing that only the church or individuals can create lasting change, he believes that there must also be systematic change in the government and economic structures which govern our world. 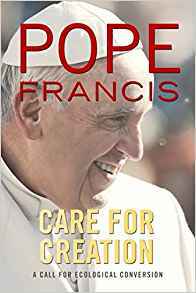 For those who are intimidated by Laudato Si’ or are looking for more of Pope Francis’ reflections on creation care and ecology, this book in short sections frames the call to care for the world and those who live in it. This book can be found on Amazon, major book retailers, and your favorite independent bookstore. Leader of the Evangelical Environmental Network (EEN), Mitch Hescox and respected meteorologist, Paul Douglas team up to bring an evangelical guide to creation care. 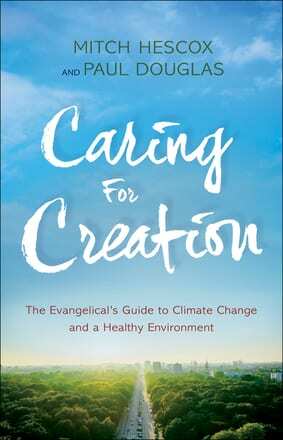 Caring for Creation: The Evangelical’s Guide to Climate Change and a Healthy Environment looks honestly at the problem of climate change and argues that it is evangelical beliefs and conservative ethics which should inspire evangelical Christians to take action to be a better steward of the earth. They begin by outlining what climate change is exactly and where it impacts our daily lives and lives of others around the world. They strike down the idea that the science that defends climate change is political. Thermometers, erratic weather, and other signs of a changing climate have no agenda liberal or conservative. They look back to the history of the conservative and republican movement in the US and find that it is deeply rooted in and aligned in conservative ideology to work against the effects of climate change. Statements from heroes in the Republican party, for example Ronald Reagan, who call for care for the environment remind readers of the history of support within the Republican party. The authors defend the development and use of renewable energy; they point to ways in which solar, wind, and other renewable energy forms are the future and provide economic growth. Contextualizing the tradition of conservative and evangelical care for the environment, Hescox and Douglas give readers a background and examples of actions they can take to be better stewards of God’s creation. They point out that it is our children and future generations who will have to pay if we do not restore the earth; because of this reality, they call for action against climate change as a pro-life issue. For any conservative evangelicals who feel alienated by creation care conversations in which they are not given space to reconcile their ideology with the movement, this book will be a breath of fresh air. Caring for Creation: The Evangelical’s Guide to Climate Change and a Healthy Environment can be found on Amazon, through major book retailers, and your favorite independent bookstore. To see a general overview of Simpler Living, Compassionate life click here. Previous sections have looked specifically at how food consumption impacts the global community and economy. This section turns to look at systems in society that perpetuate and encourage over-consumption; from theology to capitalism to advertising, authors call out ways in which we’ve built our world for destruction. It focuses not only on personal choices, but the necessity of engaged politics and policy. Andrews outlines specific structural changes that could be made in society to bring the kingdom of God ever closer. Andrews and other authors in this section are under no delusion that these complex societal problems will be easy to fix. They point to our addiction to overconsumption as the primary source of difficulty in our creation of a more just economy and world. The essays found here provoke an affluent middle class’s compliance in keeping the poor poor. The guilt of our addictions and choices must be confronted and surpassed. Only when this is accomplished is there hope for a future that affirms the life of all God’s children. Profile: John B. Cobb Jr.
John B. Cobb is an American theologian working in ecology and creation care. The prolific author of more than fifty books has argued inside the church and the academy for faith inspired environmental action. 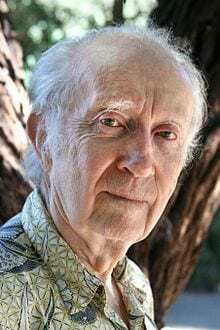 He began writing on faith and environmentalism in the 1970s and has remained a prominent activist and theologian through his life. In 2014, Cobb’s accomplishments were celebrated when he was inducted into the American Academy of Arts and Sciences. Cobb and his students put together an early Ecotheology book list, current through 1991. It can be found here. Cobb’s speeches and works can be found easily online, and his books can be found at many major retailers and your favorite independent bookstore. To be taken to his author page on Amazon click here. Berry begins this section by arguing that eating is an agricultural act that we, as consumers, have been disconnected from. The industrial economy has demanded higher quantities for lower cost and has left quality in product and experience behind. In this disconnection we also eat rushed food and lose not only the pleasure of eating but the pleasure of cooking. The conclusion of this essay will be welcome for those who have been reading this work and appreciating the theoretical arguments, but wanting examples of action they can take. Berry gives seven suggestions for ways that readers can make their eating more responsible and enjoyable. Mulligan then places all the ways in which we gather food on a continuum from the most culturally normative to the most earth friendly. He argues for a move to the earth friendly side of the spectrum, buying from farmers markets and gardening, whenever possible. Both authors introduce accessible changes that readers can make to take a step away from cultural over-consumption and toward a more simple, earth friendly lifestyle. For simple living to truly be a meaningful and Christian lifestyle, it must not only serve to restore the ecological creation but also those members of the human creation whose lives are impoverished. This section begins to tie together the seemingly disparate sections of our own individual choices and their larger impact on human lives and the economy. The section opens quote from Robert Stivers reminding readers that the Bible, in no uncertain terms, calls believers to seek justice and protect the poor. Any attempt to contextualize global economy could easily become unwieldy and difficult for the average reader. These essays outline how the habits of the biggest consumers have created an economy that has consequences for those who consume significantly less. It argues that both consumption extremes, over-consumption, and poverty are bad and invites readers to consider a middle path of mindful consumption. Food is introduced as one example of our unjust over-consumption. In the industrial economy, we’ve created a population separated from the growing process of the food they eat. The supply lines between natural resources to consumer are long. One significant change each of us can make is to commit to shortening the supply lines between us and our food. The section that follows will explore more specific steps that thoughtful consumers may take to disrupt long supply lines. Many people are uncomfortable talking about money. Discussion of income, savings, or giving often makes people blanche. The taboo that the American culture places on talking about money makes conversations of faithful stewardship of one’s money difficult. However, McDonald and Stringfellow bring nuanced approaches to bear in this section, which is the first to really analyze our use of money. McDonald shares her realization that time = money. She reflects on how her life, especially as a consumer, changed when she began asking whether an item she was considering purchasing was worth the hours of work it would take to make the money needed to buy the item. If an item is not worth the time, she moves on. McDonald’s essay doesn’t vilify money, but encourages readers to become thoughtful consumers. Stringfellow holds a mirror to the idolization of money. His essay recognizes that the obsession with money has made it a moral measure as well. We’ve come to believe that more money = moral excellence. Stringfellow calls for freedom from this idol. He affirms that money itself is not bad, but our placing money and the acquisition of money above God is wrong. This section calls the reader to question their own relationship with money, which is helpful preparation for later sections that will widen the scope, turning to larger societal structures. After Simpler Living, Compassionate Life, Michael Schut also published Money and Faith: The Search for Enough. To learn more about this publication click here to be taken to his website. Michael (Mike) Schut is an activist for faith-based environmental action and education. He has worked for numerous organizations in this intersection for more than twenty years. 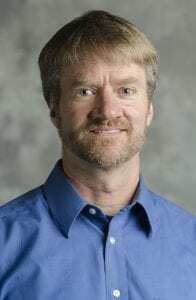 Schut is the editor and author of three books: Simpler Living, Compassionate Life: A Christian Perspective; Food and Faith: Justice, Joy, and Daily Bread; and Money and Faith: The Search for Enough. Currently, Schut is available for writing, retreats, conferences, and more. To contact Schut or to learn more about his work, you can access his website here. 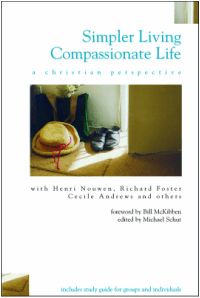 Simpler Living, Compassionate Life: A Christian Perspective (1998) grew out of a curriculum created by Michael Schut in 1996 and published by Earth Ministry. The early success of the curriculum led to its expanded publication as a larger collection. Featuring essays by Cecile Andrews, Henri Nouwen, Frederick Buechner, and many more, this collection touches many topics surrounding humanity’s relationship to our earthly home. In addition to the essays, the book includes 70 pages of additional material to help guide communities as they engage this book, making it a wonderful choice for book groups. This book is obviously meant not just to be read, but engaged, and engaged in community most of all. Any work attempting to examine the global economy, everyday food choices, social structures, justice, and more will confront a problem of accessibility for readers without theological or ecological degrees. However, for those willing to take the time to move a little bit more slowly and intentionally through the selections, readers will find that Schut’s careful curation has created an accessible approach to the interconnected nature of our relationship to the natural world. The authors who contribute to this collection argue for a new way of moving through the world, voluntary simplicity inspired and grounded in a Christian faith that recognizes the sacred nature of all life. Prolific American author Wendell Berry is known for his poetry, essays, novels and his activism. His experiences as the son of a farmer directed his work later in life as an author and activist. His activism began in 1968 with A Statement Against the War in Vietnam” which was published in 1969 in a collection of essays. His activism has continued throughout his career and he has taken a special interest in environmental issues. His work has received numerous awards, most of which can be found here at a fan website. In addition to his many already published works, Mr. Berry has two books to be published in the next year: Fidelity: Five Stories (Aug 2018 – rerelease; original publication date 1992) and The Art of Loading Brush New Agrarian Writings (Jan 2019). Beloved for his insightful and steady voice which argues for a profound reflection and connection with the earth, Berry has been an influential American voice through the last half of the twentieth century and into the twenty-first century. There are many recommendations for the best place to start when reading Wendell Berry, but there is agreement that the most important thing is to start. For Wendell Berry’s own website click here. 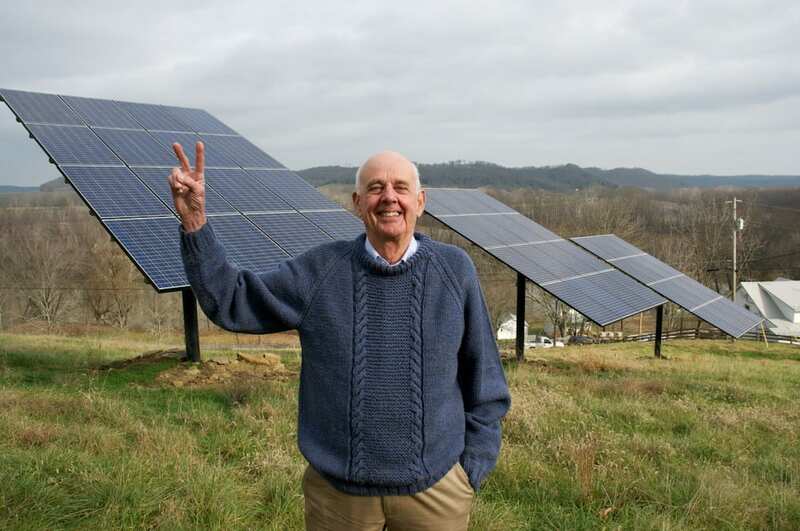 A fan website has collected many online resources for those interested in Wendell Berry, which can be found here. Berry’s published work can be found from major booksellers and your favorite independent bookstore. Click here to be taken to his author page on Amazon.